I've always had pretty weak nails, I've tried vitamins, nail strengthening polishes, I kept them short, I kept them long, the fact of the matter is they're just weak! Nail polish would chip within minutes of being done they always looked really awful and ugly. As soon as I started working in a more professional environment I realised I just couldn't meet clients with such appalling nails. 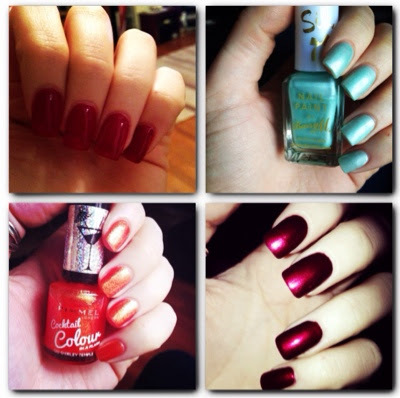 I did try various different "2 week" gel nail polishes but most lasted about a day. So I went fabulously fake and boy have I loved it! The length, the (fake) strength, always looked neat and tidy! Check in over the weekend to see them gone! Big thick hair with added volume or not?